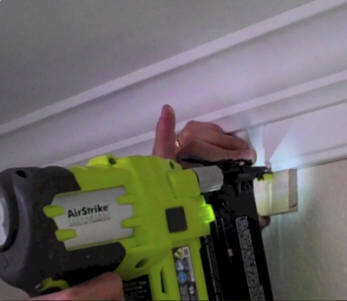 Now you can install Creative Crown foam crown molding with a brad nailer!. Just add a small piece of wood on the bottom and rest your nailer on it and shoot away!. This installing method is great for those carpenters that want to install quick and leave the caulking to the painters.